It’s not a secret in 2018 that cryptocurrencies like Bitcoin, are taking a huge role in the current financial markets. After going mainstream in 2017, cryptocurrencies promise a better way to move money and transact with one another. According to an article published by CNBC (2017), there are over 100k merchants worldwide accepting bitcoin as a way of payment, with more of them joining the pool daily. Some of the most notable places you can buy goods and services with alternate forms of payments are Overstock.com, Expedia, Virgin Galactic, Dish Satellite TV, and NewEgg.com amongst big household names. As cryptocurrencies become more pervasive into our day to day lives, is only natural to see it piercing the Real Estate industry’s massive market. Let’s explore the pros and cons especially because of the many benefits of buying real property with digital currencies. It’s cheaper: Buying a home usually entails making wire transfers between bank accounts. First from buyer to escrow, then from escrow to the seller. Each wire, if done between US banks usually ranges between $25-$50, plus servicing, you end up paying somewhere between $100-$200 for a transaction. This can go 2x or 3x if done internationally. At the time of this writing (Mar 08, 2018) the Bitcoin network fee for a transaction is $0.47. It’s faster: Wire transfers in the US take usually a few hours if done in the morning hours, or up to 24 hours if done in the afternoon. International wires can take 2-3 days. And these are only confirmation times. Settlement times take days in all cases. Contrast that with the worst case scenarios of BTC, which takes seconds for a confirmation, and up to 20 minutes for settlement… and is open 24/7. It’s easier: Wires and transfers need Fedwire, or CHIPS, or SWIFT, each of which has different formats and paperwork requirements. Sending BTC from A to B takes a single address every time. It’s international: Depending on the origin and destination of funds, there are a plethora of arguments and issues to be considered with fiat currencies (USD, EUR, etc.). For all cryptocurrencies the world is its backyard, there are no borders, no administrations, no justification. It’s instantly available: Say you sell your house, and have an urgency to use some of your funds for another large purchase. You’ll have to be patient both on the settlement time of your money (since banks take 2-3 days to actually make your money available to you), and the withdrawal of the same money for large amounts (since banks must comply with AML laws and audit all deposits and withdrawals over certain limits). Bitcoin gives you freedom. You are your bank, you receive transactions instantly, your money is available instantly to spend as you see fit. As you can see, leveraging digital cryptocurrencies can streamline the business of real estate, and open doors for Realtors to work with investors holding cryptocurrencies and looking to diversify some of it into real estate. Also, you want to know who’s using cryptocurrencies? Generation X, Millennials and Generation Z (combined a whopping 81% of the population). Back in 2017, in a research study by Urban Airship, they found that 67% of Millennials opened digital wallets, followed by Gen X with 51% in the last 3 months. Those numbers are even more staggering in 2018. This question bears another one: How much new business would I get from this? I challenge you to ask a different one: How much business would I lose if I don’t do it? With so much money moving into the highly liquid cryptocurrencies markets (it’s $402B market cap today, from $23B a year ago), it is inevitable investors will want to materialize some of those returns into a less risky investment, such as Real Estate. International investors from countries with unstable currencies and economies have traditionally parked their money in US Real Estate, and with the plentiful of benefits offered by cryptocurrencies, the writing is on the wall. Furthermore, if there’s nothing to lose, why not join the party. Volatility: Price volatility remains a large issue in cryptocurrencies. Ask anybody who bought Bitcoin at $19k in December 2017, and lost 50% of its value in the next 2 months. Regulation: The US government taxes property in US dollars, not in Bitcoin, and it the regulatory framework around the use of cryptocurrencies is just getting formed now by the US government. Closing a transaction on BTC purely is literally impossible because of this. Legality: Anti-Money Laundering (AML) laws and Know Your Customer (KYC) play an important role in the banking sector when large transactions, like those for real estate, take place. 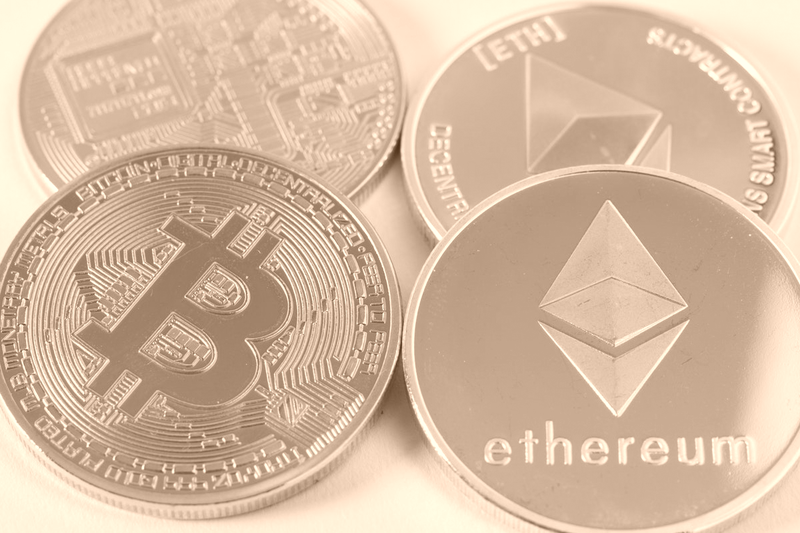 The limited traceability, along with the inherent anonymity and privacy of cryptocurrencies, continues to cast a shadowy past many consider on the border of the law. If representing the seller, clearly state in the contract the currency the seller wants to receive from the proceeds of the sale. Nowadays, most sellers will stick with USD, and only use Bitcoin as a medium to move funds fast, that is exchanged instantly at market rate. If representing the buyer, set provisions for non-liability, if the exchange rate of the currency changes dramatically AFTER the transaction is completed. You don’t want a seller suing for more bitcoins if the BTC market crashes a week after… and you don’t want your buyer asking for some bitcoins back if the BTC market soars. In either case, we recommend taking your commissions in USD and putting that burden on the buyer, not on you. In other words, don’t take cryptocurrency as commission to later change it to USD. You may be liable for additional taxes to uncle Sam you may not have accounted for. Inform your client that every cryptocurrency exchange is considered a taxable event, and they are solely responsible for reporting that on their own. This means when someone exchanges ETH > BTC, and then BTC > USD those are considered two taxable events. If your seller wants to specify in the contract the sale of real property in BTC, ask them to create a dedicated (empty) wallet address and put it in the contract. Bitpay: this is like PayPal for business, but it converts BTC to USD automatically, so you never actually see the cryptocurrency. If someone sends you 1 BTC to your Bitpay wallet, they automatically exchange it for you and send you the equivalent USD instantly. Wirex: Instant conversion from crypto to USD, GBP or EUR. Exactly what it says. Very similar to Bitpay, with support for additional fiat currencies. Coinbase: this one is more manual, but works very well. You log into Coinbase and create a “Request” transaction where you can specify if you want to receive BTC or USD, and send that to be fulfilled by the seller. They can choose to fund your request with any cryptocurrency supported by Coinbase, and you will receive the amount you requested in USD. Easy peasy. Read more about this option here. Our company, RealDAX is developing an even easier solution for Real Estate Professionals to use cryptocurrencies in their transactions and avoiding all these headaches. All parties in the transaction set their preferences, and simply move on as they do otherwise in regular business. Our promise is to allow you to accept cryptocurrencies without the liability and without the volatility. If you are a Real Estate Broker or Agent and want to join our Beta, send us an email to help@realdax.com, and we’ll hook you up. In the meantime, you can go to realdax.com and experience how easy it is to find amazing deals in seconds without breaking a sweat. Although cryptocurrencies bring many benefits to the world of banking, payments, and privacy, they come with many headaches at the moment and still have some growing to do. Blockchain, cryptocurrencies’ underlying infrastructure, carries an even larger promise to virtually every industry as we know it, and I invite you to keep an eye on it. If you are in the Greater Miami Metro area and want to learn more about Bitcoin, Blockchain and Real Estate, come to our monthly meetup “The Crypto Hour for Real Estate Professionals”. We have a vibrant community of tech enthusiast and real estate professionals discussing these issues and adding their mark to this industry. Are you ready to pay your next house with cryptocurrency?